Scientists are restoring the world's oyster reefs—one castle at a time. Update, 3:35 p.m., EST: This piece has been updated to include additional information about third-party certification. If you’re like me, you’ve largely disregarded this rule in favor of your own self-interest. But if you’ve been heeding it, then you’re likely just beginning to rejoice in the dawn of oyster season. This fall, there’s another reason to revel in the oyster harvest, beyond its sheer gustatory pleasure. If you eat an oyster today, its shell may not necessarily end up in landfill, as it would have in the past. Instead, it may be redeposited back into the waters from which it came, to serve as a home—or even a castle—for future oysters to come. In the past few years, a surge of oyster shell recycling programs have emerged in coastal regions. Some are state-run, like the South Carolina Oyster Restoration and Enhancement Program (SCORE). Others are specific to certain bodies of water, like the Galveston Bay Foundation’s Oyster Shell Recycling Program in Texas. And some, like the New York-based Billion Oyster Project, are run by high-school students. As you may know, oysters are filter feeders, which means that they filter water—thereby removing pollutants like nitrogen and phosphorus—while they search for sustenance. But we’re not likely to have an abundance of natural Britas going forward: Beyond the ongoing threat facing oysters from climate change and increasingly powerful storms, 80 percent of oyster habitats, known as oyster reefs, have been destroyed by overharvesting and pollution in the past century. Unlike most other sea creatures, oysters don’t just live in the water—they specifically need to live on other oysters. This means that when oysters are removed from the water in service of dollar-oyster happy hours, gone too are their calcium carbonate shells, which would have become the substrates that house future generations of oysters. And that’s where oyster shell recycling comes in. In Maryland, restaurants can donate their leftover oyster shells in drop-off bins located throughout the state. Run by the Chesapeake Bay Foundation, a nonprofit that supports restoration efforts in the area, these shells are washed clean of debris and then bathed in sunlight for six months to kill potential pathogens. “That quarantine period where they sit out in the sun is just to protect the Bay [from any] transfer of disease or parasites or predators that may have come from a different system,” Pollack says. The shells then get dumped into big fish tanks populated by oyster larvae—or “spat”—which attach to the shells and begin to grow as they would in their natural environment. Becoming spat is a crucial step in oyster development. Without shells on which to plant, larvae usually sink to the bottom of their marine environments and die. The Chesapeake Bay Foundation redistributes spat to oyster gardeners and pours them into waterways where oyster reefs used to be. In the Delaware Bay in New Jersey, researchers at Rutgers University’s Haskin Shellfish Research Laboratory are adding one more step to the restoration process: They’re constructing oyster castles. Oyster castles are a matrix of interlocking blocks stacked onto each other. The blocks are made from a blend of concrete and oyster shells. Unlike simply pouring spat into water, these castles give oyster reefs a scaffolding to grow on, which can come in handy when there aren’t enough shells to start a reef. Over the course of eight months in 2016, the lab raised oyster castles along Gandy’s Beach and Money Island on the Jersey Shore. The process was long and arduous, in part because construction was at the mercy of fluctuating sea levels. Concrete blocks were shipped by barge during high tide, then built into castles by hand during low tide. Castle placements were determined by engineers, who calculated the height that castles needed to reach in order to break currents, based on their strength and direction. Since 2016, three generations of oysters have made Haskin’s oyster reefs their home. And they’ve got neighbors, too. “It’s proving to be kinda like a nursery habitat,” Shinn says. Had the castles not been there, the surrounding sea life would have just used a different habitat. Nature’s own plateau de fruits de mer. In Louisiana, oyster reefs do more than simply sustain oyster populations. They also help to protect the state’s coastline from erosion due to rising sea levels. The Coalition to Restore Coastal Louisiana is a nonprofit focused on protecting the state’s coastal habitats. It runs an oyster shell recycling program, in which restaurants pay $100 a month to get their leftover shells collected, instead of sending them to landfill. The coalition uses the shells to build reefs in areas that are particularly vulnerable to erosion, like the Biloxi State Wildlife Management Area, off the tip of the state’s eastern coast. It’s a 35,000-plus acre marsh checkered by numerous bayous and lagoons, and home to crab, shrimp, and trout. Protecting it is an oyster reef 2,500 feet in length that was deployed by the coalition. You may be wondering whether we should just stop eat oysters. Is every slurp of these briny, beautiful bivalves a means to the destruction of their habitats? But it can be tough to spot an oyster from a well-managed wild fishery on a restaurant menu. Monterey Bay Aquarium’s Seafood Watch program can provide some guidance on which oysters to eat, and which to avoid. 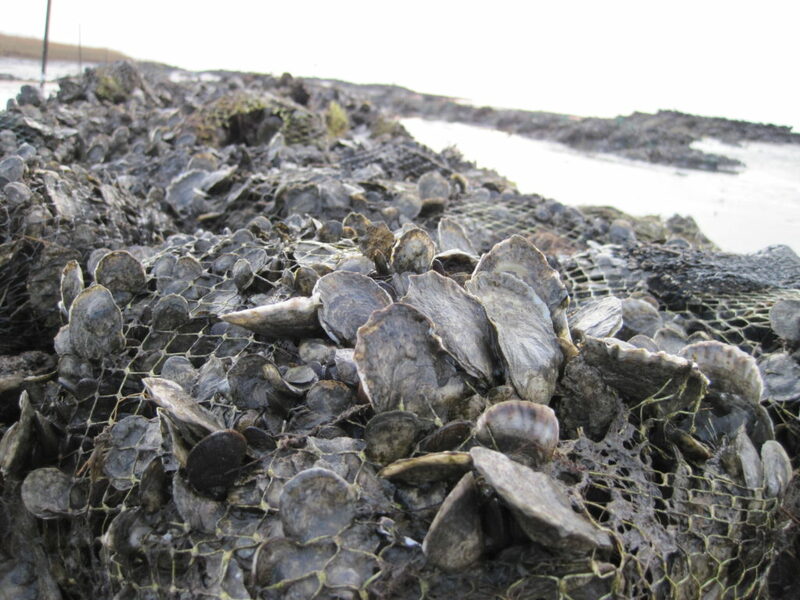 Likewise, Food Alliance operates an independent verification program for farmed shellfish operations, with consideration to environmental impact as well as labor practices. The program has certified three suppliers so far. However, most restaurants serve farmed oysters, and if you’re eating farmed oysters, you can feel good that choice. But what if you’re at a restaurant that doesn’t list its suppliers? In cases like that, your best bet is to ask your server about how the restaurant’s oysters are sourced. There are plenty of chefs who have close, personal relationships with their suppliers. There are also plenty of dollar oyster deals that may be more questionable. To get a step further, you can even start your own oyster garden. In many states, there are programs that teach residents to raise oysters at home, before donating them back to the water. When it comes to oysters, you can easily give what you get.